Come celebrate the season with us on Wednesday December 19th at The Great Hall, we’re going to see an incredible display of creation from our top Artists. It’s official, the prize for our winning All-Star at this event is a booth at The Artist Project in February 2019 !! That’s right, one of our best painters will have the opportunity to show their studio work for 4 days at Toronto’s best Artist Fair. What can we say, we’re feeling the Holiday spirit! 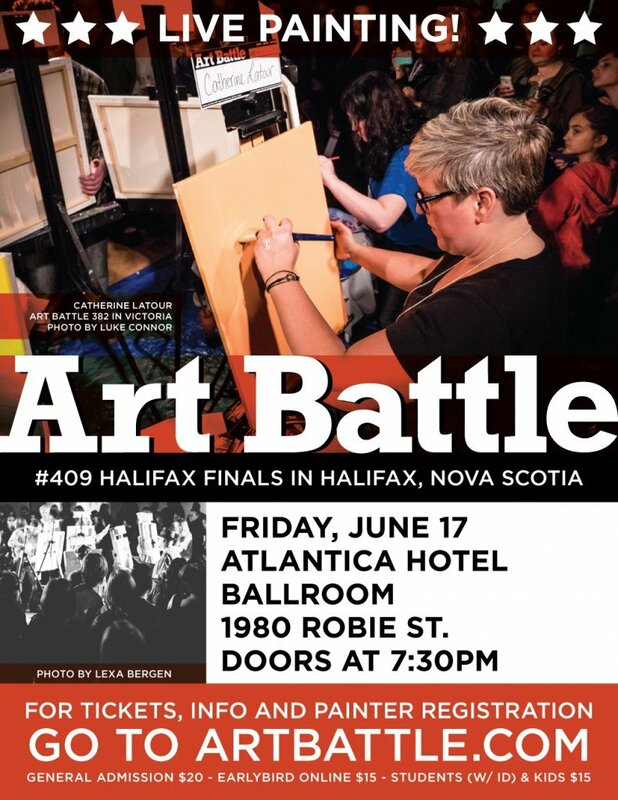 This event features Art Battle Champions and All-Stars, creating the very best work possible right before your eyes. This is always a super fun night of holiday cheer, door prizes, great music, electric atmosphere and silent auction of all the beautiful works created. 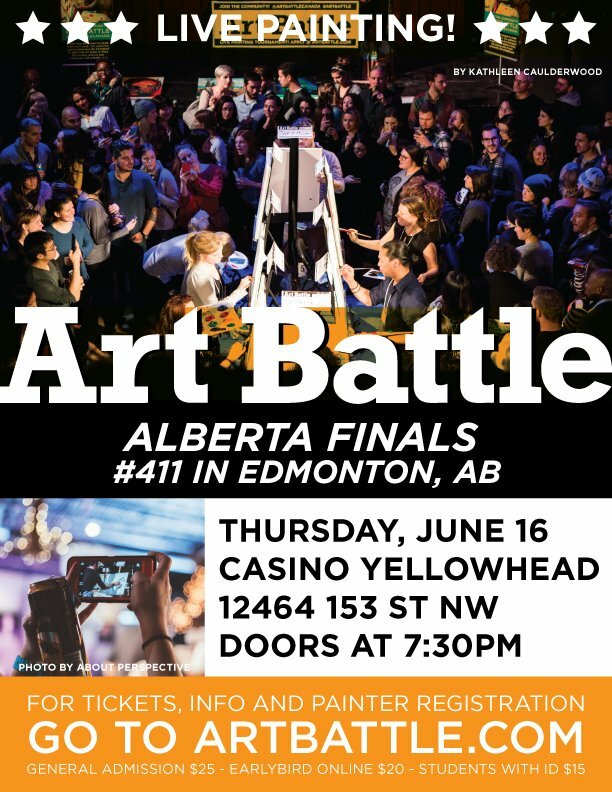 Don’t miss this one, stakes are high and Artists will be bringing their A-game! 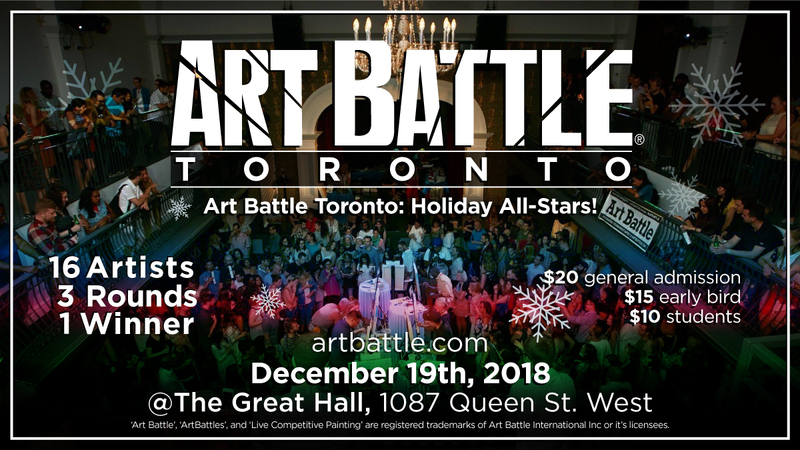 Art Battle Toronto: Holiday All-Stars! 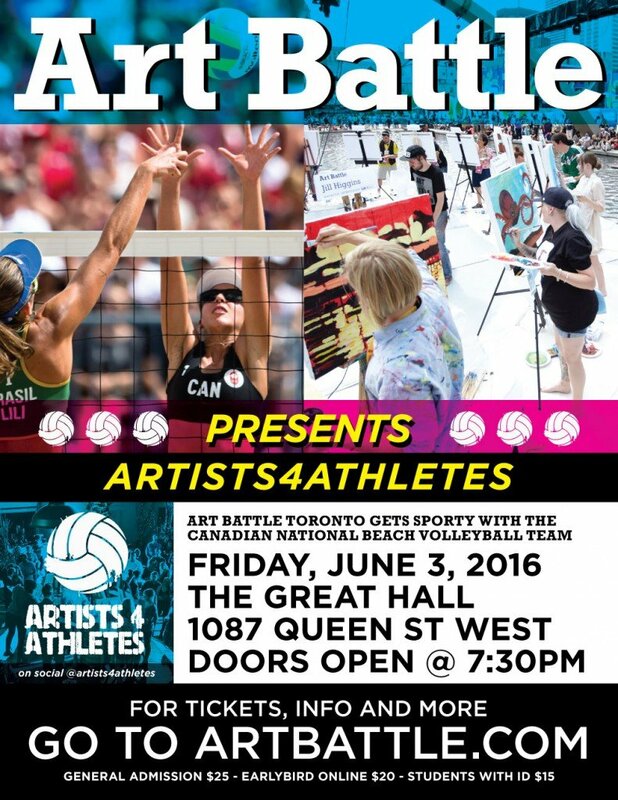 Follow us on Instagram @ArtBattleToronto!